For couples wishing to rekindle their romance in a quiet, relaxing atmosphere our Romantic Retreat for Two is the perfect package for you! Enjoy two tranquil nights by a crackling wood fireplace, soak in your private 2 person whirlpool bath and enjoy a complimentary bottle of wine. Treat your special someone to a therapeutic massage for pampering and relaxation or de-stress in our `hot tub under the stars`, indoor hot tub, games and fitness rooms. Take a meandering stroll or invigorating hike or bike ride on our natural trails. 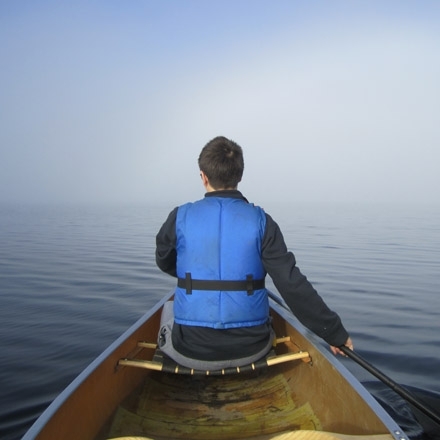 Enjoy the water by taking out a canoe for a morning paddle or rent a boat and motor to cast a line. Pine Vista provides the quiet, relaxing atmosphere that couples love when on vacation. Gather the girls for a two night vacation. 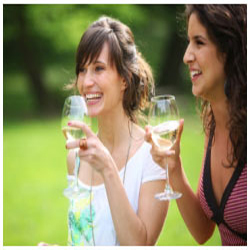 Our Girls` Getaway package is a great way for girlfriends caught in the bustle of daily living to reconnect and catch up. Enjoy 2 nights in a cottage or resort townhouse with full kitchen, whirlpool bath, TV/DVD, a/c and deck with BBQ plus 6 complimentary movie rentals, popcorn and a bottle or two of wine. A great package for anglers of all skill levels. 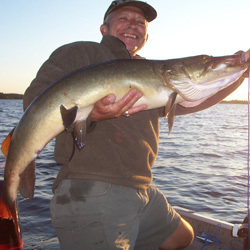 This package includes two nights accommodation, free docking or use of a 14` aluminum fishing boat with 1 tank of gas, as well as a map of the lake, and use of safety equipment. Choose any two nights. Join us for 2 nights of relaxation! Guests will enjoy a 2 night vacation in a cottage or resort townhouse with fully equipped kitchen, 4 pc bath, wood fireplace, TV/DVD/VCR, private deck with BBQ and many with whirlpool bath and a/c. Guests will also have use of the resort facilities which include a seasonal pool, outdoor hot tub, indoor hot tub, games room, fitness room, nature trails, canoes/kayaks, and a variety of recreation equipment. 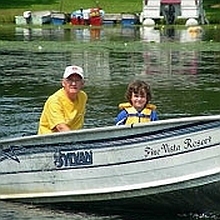 Pine Vista Resort offers luxury cottage daily rental vacations in the Kawartha region of Ontario. The resort is approximately 150km north of Toronto, Ontario, Canada, a short 90 minute drive -- an ideal setting for family holidays, romantic couples` getaways and group retreats. Located in the Kawarthas overlooking beautiful Stoney Lake, Pine Vista Resort provides nature lovers of all ages with first-class cottage accommodations and a multitude of activities at our award-winning 4-star Ontario resort. Join us for a week of relaxation! Guests will enjoy a 7 night vacation in a cottage or resort townhouse with fully equipped kitchen, 4 pc bath, wood fireplace, TV/DVD/VCR, private deck with BBQ and many with whirlpool bath and a/c. Guests will also have use of the resort facilities which include a seasonal pool, outdoor hot tub, indoor hot tub, games room, fitness room, nature trails, canoes/kayaks, and a variety of recreation equipment.